100% halogen free PP conduits. 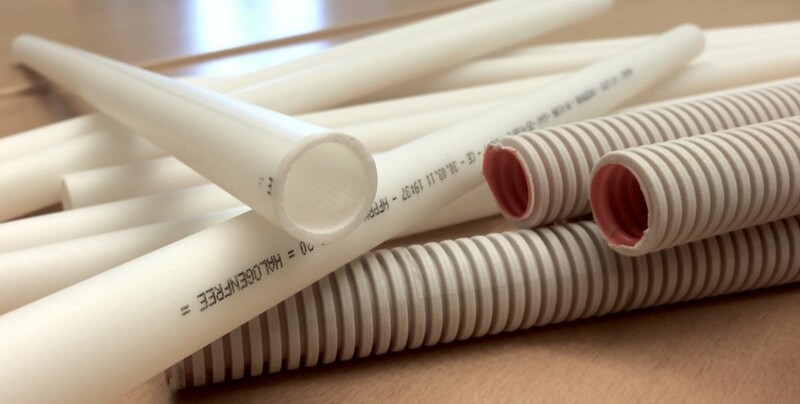 PP conduits, both rigid and corrugated. Standard dimensions target the green building market and high profile LEED and BREEAM projects. Applications have involved 16-50mm diameter pipe as well as larger 110 mm outer diameter corrugated pipe for use in infrastructure and building. Paxymer has been used both in single layer and co-extruded two or three layer products. The flame-retardant version of this product is the only one on the market to meet BVB (Swedish building goods declaration) green standards, thus opening the door to fully non-persistent products. It enables the client to introduce new products and provides better performance.